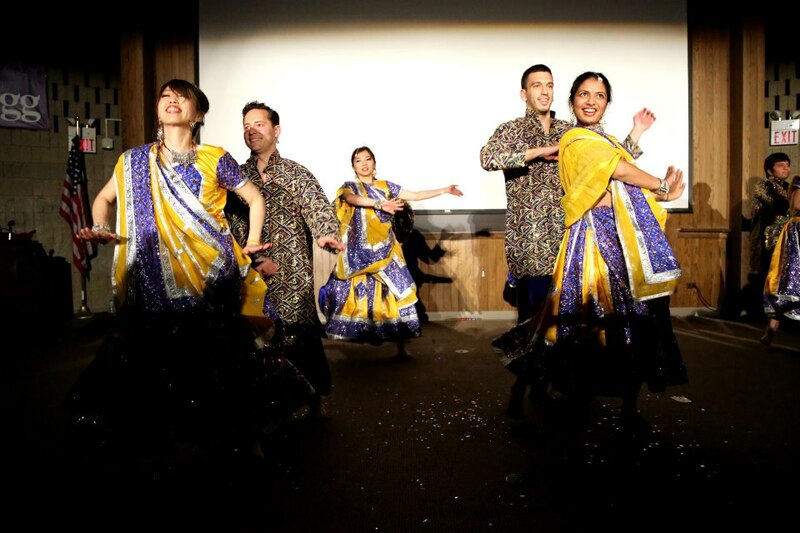 MOSAIC week – a celebration of the amazing global diversity both within Kellogg and spanning today’s business culture – culminated in the form of a spectacular song and dance journey to South Asia. Through Bollywood Bash, an annual event put on by the India Business Club, Kellogg was immersed within spices that make South Asians tick. Bollywood Bash 2013 was a special one. 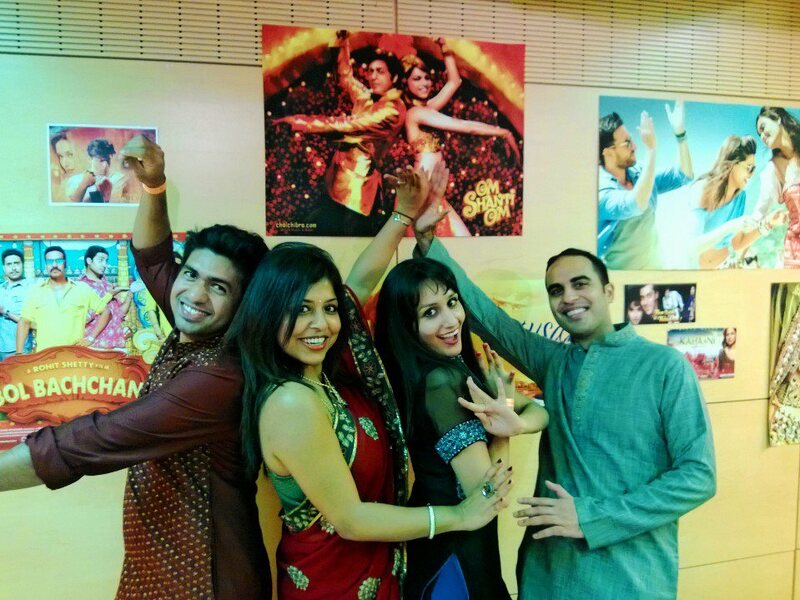 Its theme was that of celebration – fêting 100 year of Hindi Cinema. Resplendent with iconic movie posters to dances heralding the best of Bollywood Stars (Amitabh Bachchan, Salman Khan, Rekha), this year’s Bollywood Bash added an extra oomph and pomp to an already widely successful Kellogg Event. The planning for Bollywood Bash 2013 began as early as Fall Quarter. As soon as Spring Quarter started – 10-hour rehearsal weeks, prop and costume procurement, and event planning began in full swing. The snowball of enthusiasm kept amassing as the date approached and in the days leading up to the event – the atmosphere both at Jacobs and at McManus (the unofficial practicing ground) was infused with vibrant colors, swirling skirts, rhythmic sticks, and reverberating laughter as cross-culture friendships and bonds tightened. Kellogg had come to life – and the spirit of global bonding fueled it further. Bollywood Bash opened with a rendition of Hindi classic song by Professor Sergio Rebelo and a welcoming speech by Dean Donald Jacobs. 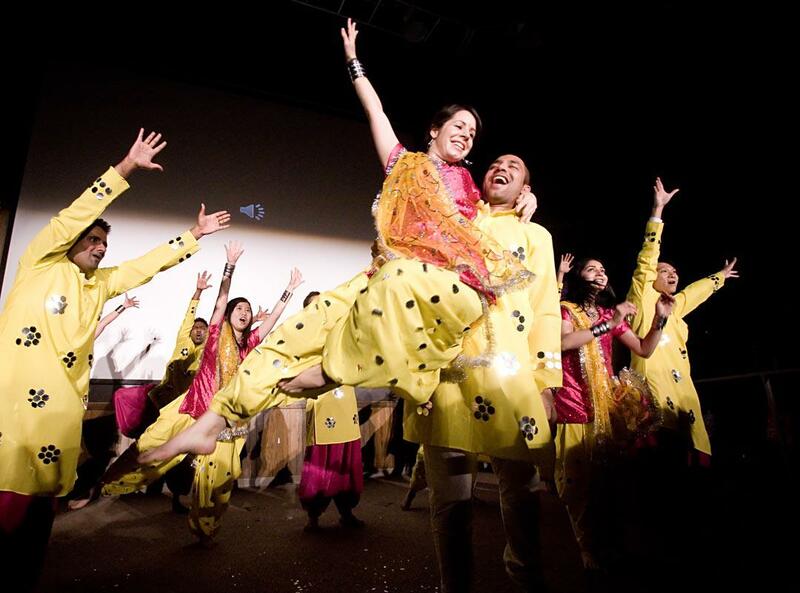 Through Bollywood tunes sung by Chinese classmates, dances spanning different regions of South East Asia and videos covering Kellogg-wide cultures, including dance-off among all the diversity-oriented clubs, the school came to life. The claps reverberated as the dancers and hosts spread cheer and confetti. 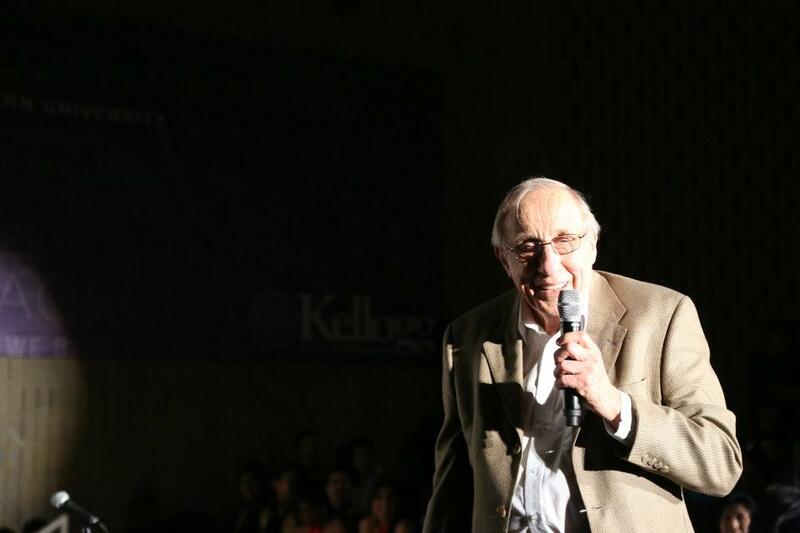 One of the best highlights was a video by beloved Kellogg professors. Indeed, you had Professor Tim Calkins dancing to Hindi beats, Professor Mohanbir Sawhney dancing the bhangra, and Professor Julie Hennessey swaying to Bollywood tunes. The pre-show dinner with delicious Indian curries and the DJ’s collection of loud, thumping danceable music morphed the cultural show into a fervent party. The amalgamation of Kellogg cultures that came under one roof to celebrate diversity, music, and dance added as a perfect backdrop to the night. It was a heady feeling – spinning around in the heart of the Atrium – and realizing the fusion of cultures that were being celebrated in that one room – that night, that whole week. Number of dancers/ participants: 167 dancers + 5 band members (unique) + 10 MCs + video performers. Overall, more than 190. 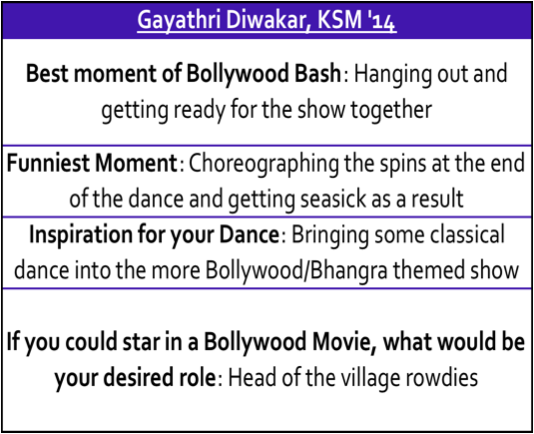 Bollywood Bash 2013 was a beautifully choreographed event – and embedded within it the true spirit of Kellogg. Kudos to the IBC Team of 2013 for an excellent show.